Tourtiere is our Christmas Eve tradition. The second pie is going home with Matt and Dana. I like mine served with gravy. Moe likes his with a tomato chili sauce. This filling is for one pie. I usually triple the ingredients and make three at a time. I bake all of the pies and when cold freeze. one minute and then add the ground pork. Cook until the meat is brown. coarsely chopped potatoes and add enough additional gravy to moisten. A tradition here too! I always think of you now..because it's your tradition too.. This looks very good. Thanks for sharing your recipe. I had mine on Christmas Eve as more of a strudel but it is such an integral part of the holidays. 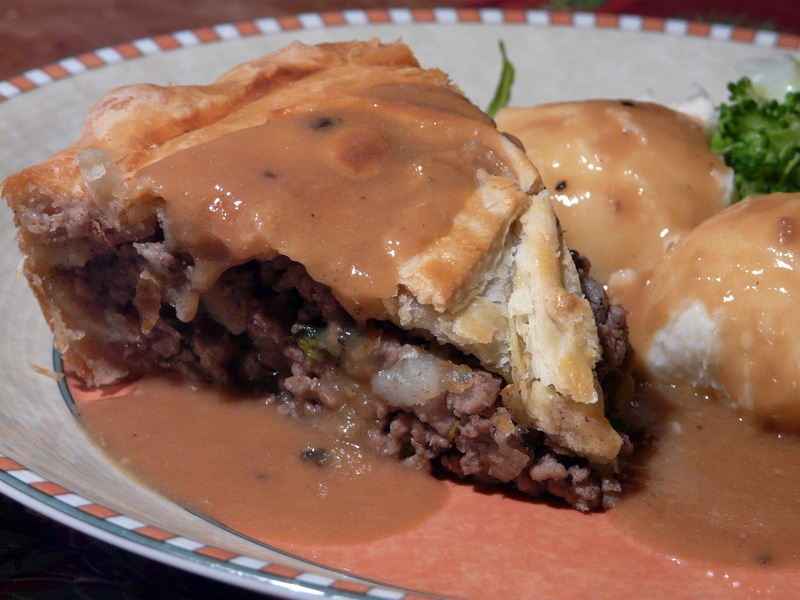 I lo ve Tourtiere, haven't had it in many years. Just wondering if you could tell us what cut of pork you use or is it just regular ground pork? Thanks for sharing. 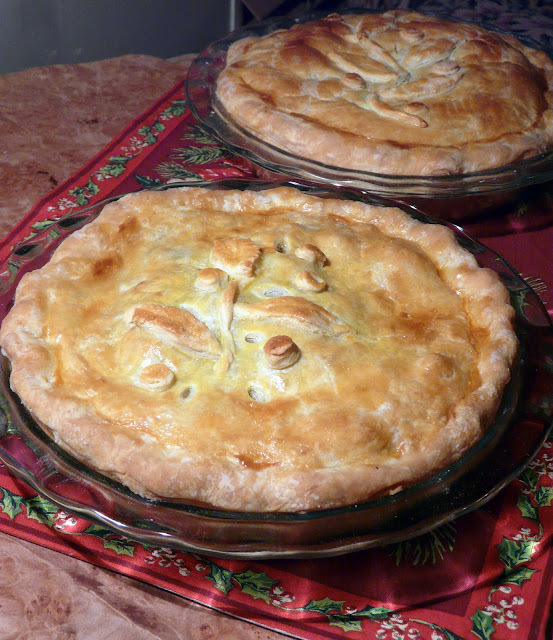 Oh, your Tourtiere's look soooo good ! I think we basically do the same thing, although, I boil the potato and mash it before adding it to meat mixture. Also a tip for you that may work for your pastry recipe. I got this one from chef Michael smith of PEI. He puts butter in freezer until good and frozon and then grates the hard butter into the flour mixture. He also does this for all butter tea biscuits. It is just easier to work with. Thanks Bonnie. I do cook the potatoes first, but just cut them into small chunks. Mashed would be just as good. As mentioned in my pastry recipe above, I also grate butter using a box grater. I use this method for pastry,biscuits and scones. Your pie look exquisite! I love meat pies they always remind me of England. PINNED! 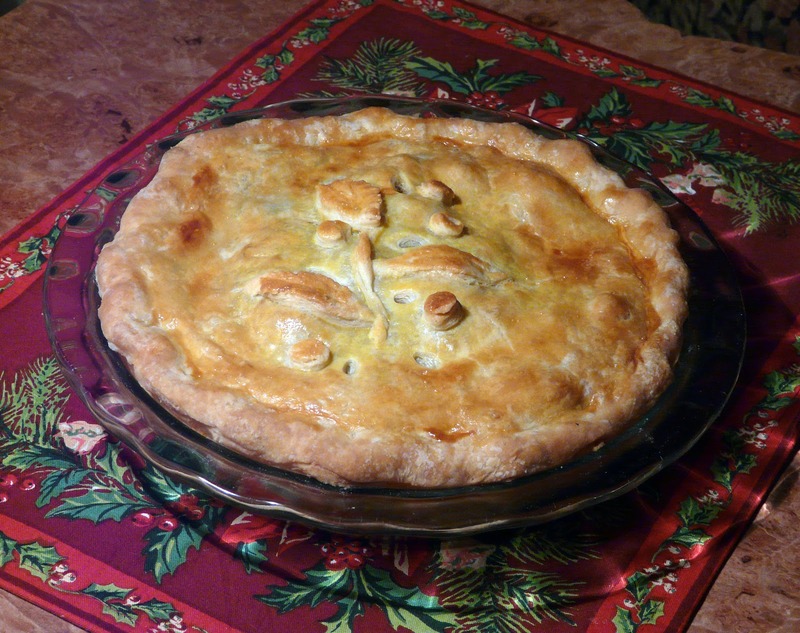 I love meat pies and look forward to trying your recipe! Thank you for linking up with the Clever Chicks this week; I hope you’ll join us again!